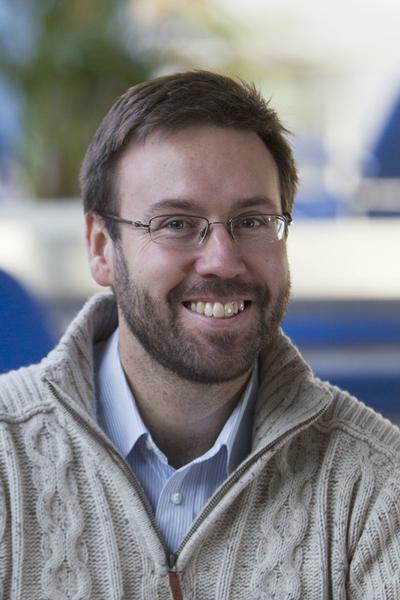 Dr Julian Whitewright is a Senior Teaching Fellow in Maritime Archaeology at the University of Southampton. He is coordinator of Postgraduate Teaching in Archaeology, and a Fellow of the Higher Education Academy. I am a maritime archaeologist specialising in the study of boats and ships, specifically their construction and use. I completed my BA(hons) in Archaeology at the University of Southampton in 1999 and the MA in Maritime Archaeology here in 2000. My doctorate, also at Southampton (2008), addressed the theme of maritime technological change in the ancient Mediterranean through the archaeology of sailing rigs. For a number of years I worked jointly between the commercial and academic archaeological sectors, before focussing fully on my academic work. My interest and love of watercraft extends beyond my job and I am an experienced sailor and rower, primarily in traditional vessels and Bantry Bay Gigs in particular. In 2004 I skippered the United Kingdom Gig which claimed first place in the World Championships, reprising this success as the coach of the team in 2010. I am a trustee within that organisation – Atlantic Challenge Great Britain – where we focus on the teaching of traditional seamanship through experiential endeavour. This work allows me to bring hard-learned practical experience in traditional watercraft into the classroom as a means to further understand maritime archaeology. My primary archaeological research concerns technological change and innovation within the construction and use of watercraft. I have particular areas of interest relating to the ancient and early medieval periods in the Mediterranean and Indian Ocean. Research into this subject has been driven by fieldwork at the Roman port of Myos Hormos on the Red Sea and augmented through maritime ethnographic fieldwork in India and East Africa into traditional boatbuilding and boat use. The results of this work indicates that maritime technological change rarely took place because of the functional or environmental reasons so often claimed by maritime archaeologists, instead emphasising the role of people and economic factors in shaping maritime technology. My on-going research has also highlighted the continuing value of maritime ethnography to the discipline of maritime archaeology in the context of boat and ship archaeology. Closer to home, I also carry out work in the Solent region and along the south coast of England studying the construction of a range of ships and boats in collaboration with the Maritime Archaeology Trust. In particular, this work has focused upon the development of innovative construction materials, such as copper and copper-alloys to shipbuilding processes during the 18th and 19th century in both Naval and merchant vessels. I specialise in work in the inter-tidal zone, either through traditional survey techniques, or through the innovative deployment of new technology. Recent projects include ground-truthing the possible final location of HMS Beagle, on behalf of Rochford District Council, and working with the CITiZAN project along the South Coast of England. I have always been an advocate of experimental and experiential archaeological research, driven by my own experience of learning, teaching and working in traditional watercraft. Increasingly I am researching methods for deploying digital technologies such as computational reconstruction and testing as a means to augment our existing suite of techniques for understanding ships and boats. To this end I am working as a member of the project team on a full-scale reconstruction of the Sutton Hoo ship, and have managed the digital reconstruction of a very-large Roman ship for Damien Hirst’s 2017 exhibition ‘Treasures from the Wreck of the Unbelievable’. As an extension of this I provide maritime expertise within Archaeology at Southampton’s Archaeology for the Creative Industries initiative. Whitewright, J. (Accepted/In press). The ships and shipping of Indo-Roman trade: A view from the Egyptian Red Sea ports. HEROM. Journal on Hellenistic and Roman Material Culture, 6(2), 137-171. Whitewright, J. (2011). Berenike and the Indian Ocean Trade. Journal of Roman Archaeology, 24, 799-802. Satchell, J., & Whitewright, J. (2014). The maritime archaeology of Alum Bay. Two shipwrecks on the north-west coast of the Isle of Wight, England. (British Archaeological Reports, British Series; No. 608). Archaeopress. Whitewright, J. (2017). Ancient depictions as a source for sails and rigging. In H. Frielinghaus, T. Schmidts, & V. Tsamakda (Eds. ), Schiffe und ihr Kontext: Darstellungen, Modelle, Bestandteile – von der Bronzezeit bis zum Ende des Byzantinischen Reiches (pp. 221-232). Mainz: Verlag des Römisch-Germanischen Zentralmuseums. Fisher, S., & Whitewright, J. (2017). Hidden heritage: The German torpedo boats in Portsmouth Harbour. In J. Jordan (Ed. ), Warship 2017 (pp. 160-170). Bloomsbury Publishing. Whitewright, J. (2017). Mediterranean ship technology in antiquity. In P. de Souza, P. Arnaud, & C. Buchet (Eds. ), The Sea in History. Volume 1: The Ancient World (pp. 199-213). Woodbridge, GB: Boydell and Brewer. Whitewright, J., & Satchell, J. (2016). England's maritime archaeological archive backlog in-depth. In J. Satchell (Ed. ), Analysing Maritime Archaeological Archives. Collections, Access and Management (pp. 77-102). (British Archaeological Reports British Series; No. 628). Oxford, GB: British Archaeological Reports. Whitewright, J. (2016). Sails, sailing and seamanship in the ancient Mediterranean. In C. Schafer (Ed. ), Connecting the Ancient World: Mediterranean Shipping, Maritime Networks and their Impact (pp. 1-26). (Pharos – Studien zur griechisch - römischen Antike; No. 38). Rahden, DE: Verlag Marie Leidorf GmbH. Whitewright, J. (2016). Ships and boats. In G. L. Irby (Ed. ), A Companion to Science, Technology, and Medicine in Ancient Greece and Rome (pp. 870-888). (Blackwell Companions to the Ancient World). Chichester, GB: John Wiley and Sons. Whitewright, J. (2015). Sailing rigs of the western Indian Ocean in the first millennium AD. In S. Tripati (Ed. ), Maritime Contacts of the Past: Deciphering Connections Amongst Communities (pp. 569-589). New Delhi, IN: Delta Book World. Whitewright, J. (2014). Maritime rhythms of the monsoon. In M. Sindbæk, & A. Trakadas (Eds. ), The World in the Viking Age (pp. 62-63). Roskilde, Denmark: Viking Ship Museum. Whitewright, J. (2013). The Flower of Ugie. In J. Ransley, F. Sturt, J. Dix, J. R. Adams, & L. Blue (Eds. ), People and the Sea: A Maritime Archaeological Research Agenda for England (pp. 179-181). York, GB: Council for British Archaeology. Whitewright, J. (2012). Current UK marine administration, policy and legal context. In V. Dellino-Musgrave (Ed. ), Marine Archaeology: A Handbook (pp. 49-76). York, GB: Council for British Archaeology. Whitewright, J. (2011). Efficiency or Economics? Sail development in the ancient Mediterranean. In W. V. Harris, & K. Iara (Eds. ), Maritime Technology in the Ancient Economy: Ship-Design and Navigation (pp. 89-102). (JRA Supplementary Series; No. 84). Portsmouth, US: Journal of Roman Archaeology. Blue, L., Whitewright, J., & Thomas, R. I. (Accepted/In press). Ships and ships’ fittings. In D. Peacock, & L. Blue (Eds. ), Myos Hormos-Quseir al-Qadim. Roman and Islamic Ports on the Red Sea. Volume 2: The Finds from the 1999-2003 Excavations (pp. 179-209). Oxford, GB: Oxbow books. Whitewright, J. (Accepted/In press). Wooden artefacts. In D. Peacock, & L. Blue (Eds. ), Myos Hormos - Quseir al-Qadim. Roman and Islamic Ports on the Red Sea. Volume 2: The Finds from the 1999-2003 Excavations (pp. 167-178). Oxford, GB: Oxbow books. Glazier, D., Whitewright, J., & Peacock, D. (2007). Samidi. In D. Peacock, & L. K. Blue (Eds. ), The Ancient Red Sea Port of Adulis, Eritrea Report of the Eritro-British Expedition, 2004-5 (pp. 65-77). Oxford, GB: Oxbow books. Glazier, D., Whitewright, J., & Earl, G. P. (2007). The topographic and geophysical survey. In D. Peacock, & L. K. Blue (Eds. ), The Ancient Red Sea Port of Adulis, Eritrea Report of the Eritro-British Expedition, 2004-5 (pp. 19-32). Oxford, GB: Oxbow books. Blue, L., Whitewright, J., & Cooper, J. (2017). The Ubiquitous Huri: Maritime ethnography, archaeology and history in the Western Indian Ocean. In J. Gawronski, A. van Holk, & J. Schokkenbroek (Eds. ), Ships and Maritime Landscapes: The Proceedings of the Thirteenth International Symposium on Boat and Ship Archaeology, Amsterdam 2012 (pp. 185-192). Barkhuis Publishing. Whitewright, J. (2012). Early Islamic maritime technology. In R. Matthews, J. Curtis, & A. L. Gascoigne (Eds. ), 7ICAANE, Proceedings of the 7th International Congress on the Archaeology of the Ancient Near East. Volume 2: Ancient & Modern Issues in Cultural Heritage, Colour & Light in Architecture, Art & Material Culture, Islamic Archaeology (pp. 585-598). Wiesbaden, DE: Harrassowitz Verlag. Whitewright, J. (2012). Sailing with the Mu’allim: The technical practice of sailing in the Medieval Red Sea. In D. A. Agius, J. P. Cooper, A. Trakadas, & C. Zazzaro (Eds. ), Navigated Spaces, Connected Places: Proceedings of Red Sea Project V held at the University of Exeter September 2010 (pp. 147-156). (British Archaeological Reports, International Series; No. 2346). Oxford: Archaeopress. Whitewright, J. (2009). Tracing technology: the material culture of maritime technology in the ancient Mediterranean and contemporary Indian Ocean. In R. Bockius (Ed. ), Between the Seas: Transfer and Exchange in Nautical Technology. Proceedings of the Eleventh International Symposium on Boat and Ship Archaeology, Mainz 2006 (pp. 489-497). Mainz, DE: Verlag des Römisch-Germanischen Zentralmuseums. Whitewright, J. (2007). How fast is fast? Technology, trade and speed under sail in the Roman Red Sea. In J. Starkey, P. Starkey, & T. Wilkinson (Eds. ), Natural Resources and Cultural Connections of the Red Sea (pp. 77-88). (British Archaeological Reports, International Series; No. 1661). Banbury, GB: Archaeopress. Whitewright, J. (2011). LCT(A) 2428: an assessment for Scheduling in the marine zone. Southampton: Hampshire & Wight Trust for Maritime Archaeology. Whitewright, J., & Satchell, J. (2011). The archaeology and history of the Flower of Ugie, wrecked 1852 in the Eastern Solent. (British Archaeological Reports, British Series; No. 551). Oxford, GB: Archaeopress. Blue, L. K., Cooper, J., Whitewright, J., & Thomas, R. (Eds.) (2009). Connected Hinterlands: Proceedings of Red Sea Project IV held at the University of Southampton September 2008. (Society for Arabian Studies Monographs; No. 8). Oxford , England: Archeopress BAR. Reflecting my main research and teaching areas, I am interested in supervising postgraduate (PhD) research into topics which address the construction and use of watercraft, with specific concern for understanding maritime technology and how studying it can provide an insight into maritime cultures or communities for the wider discipline of archaeology.